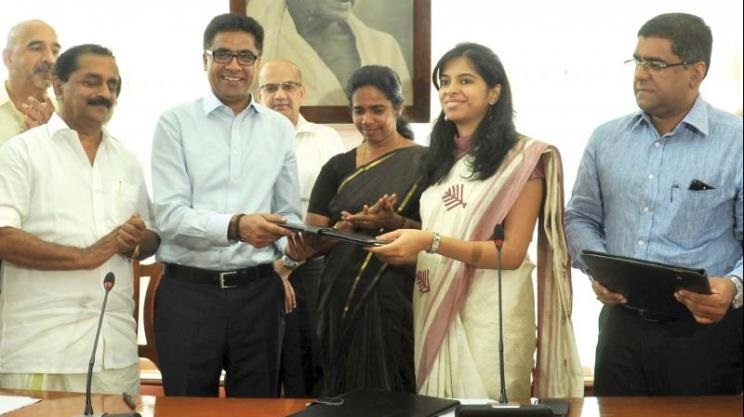 Kozhikode, Kerala, India: Bengaluru based eGovernments Foundation has signed an agreement with Kozhikode Municipal Corporation to develop building plan automation software. Kozhikode Municipal Corporation secretary Ms. Mrunmai Joshi, eGovernments Foundation CEO Mr. Viraj Tyagi and Malabar Chamber of Commerce President Mr. P.V. Nidheesh were present and signed the agreement to develop the software for the city. The system will be functional in three months post software installation in the corporation office and training of the staff. The Building Plan Approval system will allow for submission of plan approval, provide instant status update to the end user and avert delays in approving building plan and issuance of permits. A file-tracking system and SMS notification for document verification and site examination would be incorporated in the software. Online payment provision for the scrutiny fees and plan fees will also be introduced. Digital signature of the ULB officials will be used in the online approval of the files. eGovernments Foundation CEO Mr. Viraj Tyagi presented the project before corporators at the corporation council hall. “The Building Plan module will greatly help in improving processing time, transparency and end to end tracking of building plan applications - ultimately improving the ease of doing business,” he said. “Highlights of the software are the unified interpretation of building rules and the facility for file tracking. The software is open-source, and hence no additional charges like license fee or royalty incur for scaling it to other civic bodies within Kerala,” said regional town planner Mr. K.V. Abdul Malik. eGovernments Foundation was started by Nandan Nilekani (ex-CEO - Infosys) and Srikanth Nadhamuni (CEO - Khosla Labs, ex-CTO UIDAI) in 2003 to solve hard to crack urban governance challenges using cutting edge technology. Over last 13 years, with best technology, talent and considerable investment eGovernments Foundation has gained deep insights into urban governance space at a very granular level and built a comprehensive Opensource “eGov Smart City Platform”. This flagship product of eGovernments Foundation is a comprehensive, state of the art OpenSource, interoperable & scalable civic tech solution for citizens & city administration to manage, monitor & interact in a transparent, effective and efficient manner. 5. Dashboards for State / City / Town level monitoring and control. 6. Mobile apps for citizens to pay taxes, to raise and resolve complaints. 7. Mobile apps for civic body employees. Being Opensource makes “eGov Smart City Platform” implementation faster, affordable and flexible. Bengaluru based eGovernments Foundation has signed an agreement with Kozhikode Municipal Corporation to develop building plan automation software.